I’ve got five different kids with very different needs and wants. So, when I told my wife I was going to add my Christmas list to our website, she questioned whether that was a good idea or not. Still, as parents who’ve been around the block a few times, I figured that it’d still be worth the time to share sine if our ideas here. For this post, I’ll be going over what we’re getting for my six going on 7-year-old along with my thoughts on a number of gift ideas that are popular right now. If you have a child that’s similar in age, be sure to help me out by commenting to let me know what your favorite gift ideas are this year. The building block set of choice this year is, of course, anything from the Star Wars Lego series. With the movie coming out in December, and the popularity of the Rebels cartoon series, Star Wars is more popular than ever among young kids. Speaking of the Star Wars Lego sets they have quite a range in price from as low as around $20 for a General Grievous Wheel Bike up to $141 for the new Millennium Falcon set. If you purchase one of these for your 6 to 7-year-old son, I highly recommend that you have him build it in a location where he won’t lose pieces. These sets can gain value over time if treated properly and are a lot of fun to put on shelves around the room or remake from time to time. 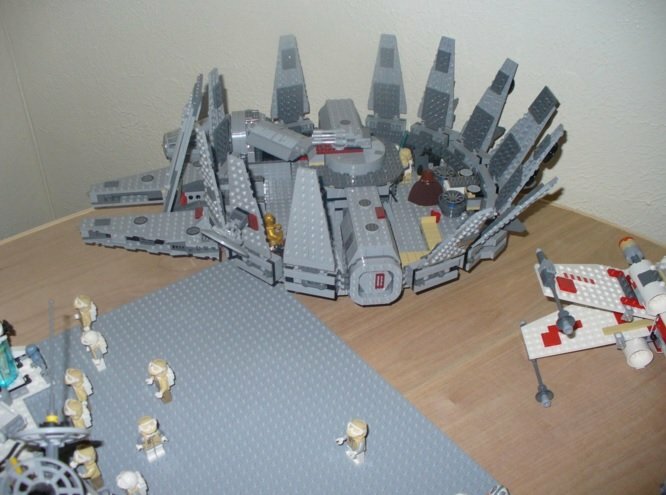 As a slightly less expensive alternative to the Star Wars Lego set you could also consider the classic sets. If $141 for a Lego set is out of your price range, I recently wrote a post on some good lego alternatives that we use in our family. As our son is not the type to keep every LEGO part in good shape, we’re getting our son everything from Magformers to K’Nex building sets this year instead. If you want more options, take a look at my post on the best lego gift ideas and sets. Having a gaming website and being a parent don’t always go hand and hand but I certainly restrict what’s available to my kids and when they can play. The Wii U has a ton of games that fit the mold for our young kids. Here are two new and age appropriate games, I highly recommend for boys in this age group. In my house, my kids love Mario games and they love building things. With Super Mario Maker they can do both. We’ve purchased just about every Mario that’s been available over the past 5 years so when the chance to own a Mario with limitless levels came up we couldn’t pass it up. Don’t want to create levels? 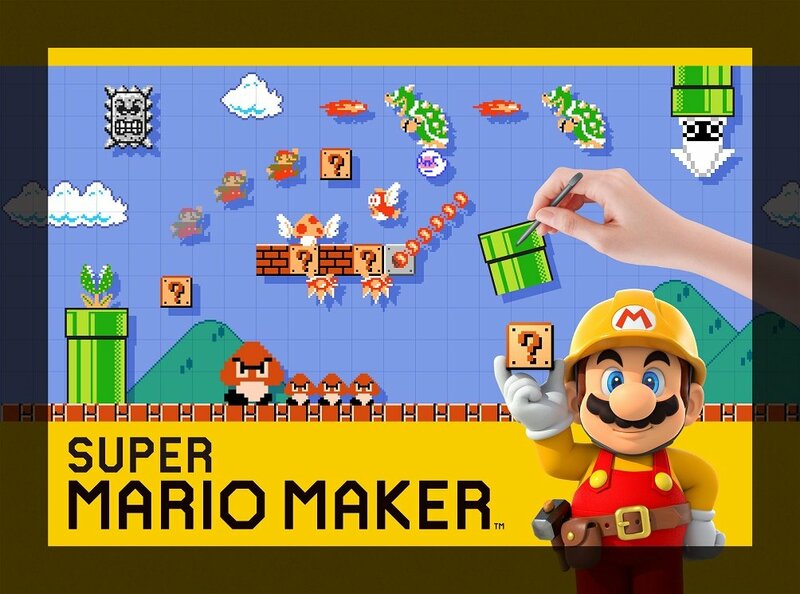 Super Mario Maker comes with 100 built-in levels and many more available through DLC. That’s more levels than any other Mario game to date. If you’ve tried Disney Infinity games in the past, they don’t quite compare to this one. Boosted by the allure of Star Wars and a much-improved toybox mode, 3.0 delivers in almost every front. Your kids will likely start with the 6-hour campaign mode and then get lost in the limitless toybox mode creating their own cities and levels for hours on end. If you can, you’ll want to wait for a sale on this one as Black Friday or Deal’s Weeks will certainly allow you to get all the expansions and parts cheaper. Whether your child is into Harry Potter, Super Heroes, Star Wars, or just about anything else he’ll find it with the Lego adventure games found on PS4, Xbox One, and Wii U. If they’ve never started playing any of these, I’d recommend starting with Marvel Super Heroes which was released back in 2013. It has a ton of content and will keep your kids busy for hours on end with unlocking and creating various superheroes. If your child stays up on the lego series, consider the all new Lego Marvel’s Avengers coming out in January of 2016. Lego Dimensions is also available for those who can’t wait, but as Lego is new to the Toys to Life Genre, I’d probably stay away from this one for your wallet’s sake. I like tablets for kids in this age group for a number of reasons. First, they’re great reading devices if used appropriately. Kindle Fire’s can easily give my kid’s access to a variety of material. What’s even better is that these books don’t have to cost money. More than 11,000 libraries in the United States (30,000 worldwide) offer Public library books for Kindle and Android. If you decide on an Android device, then more than likely you’ll be using the overdrive app. Second, is that tablet apps are cheap compared to video games and LeapPad cartridges. Instead of spending $30 to $60 for apps you often spend nothing. These apps can be educational as well. If you’re wondering exactly what type of apps are available, I recommend you start with this list of 54 apps for kids. 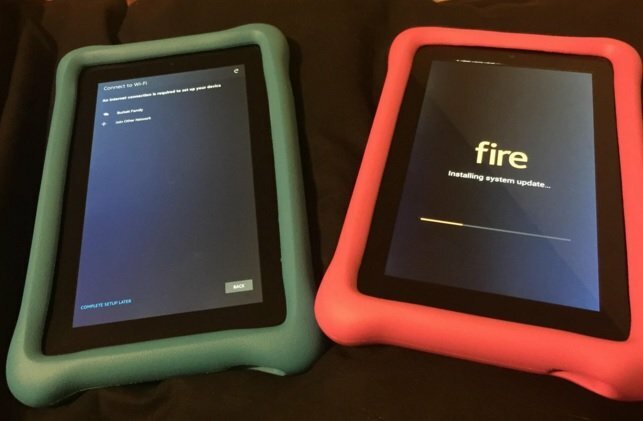 If you’re looking for a recommendation on which tablet you should go for, I’d recommend going for the Amazon Kindle Fire this year which is as low as $50 right now. It’s inexpensive, reliable, and if they break it, then you’re not out a ton of money. If your child is especially hard on electronics, there’s also a Kid’s Edition for twice the price with similar specs and comes with a worry-free replacement program. I for one would rather go with the cheaper option and just go with one of Amazon’s Kid-Proof Cases for around $12.50. There’s nothing like playing board games with my kids that bring us closer together. We have a variety of games that we play with our older and younger kids but here’s a few that are simple enough for boys this age but still a lot of fun. 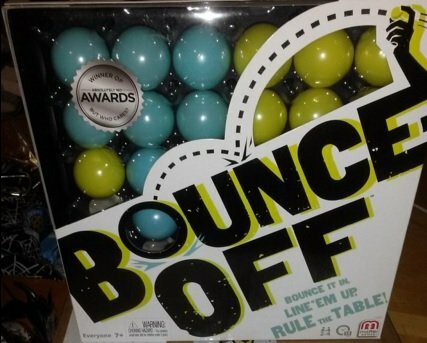 Bounce-Off is one of those games that every age group can play. It’s certainly not complicated and even doubles as a great party game. The rules are simple. Draw a card and try to match that shape by bouncing balls into the designated area. First person or team to do it gets a point. Another really popular game this year is the Pie Face Game. It’s really as simple as it sounds, but my son absolutely loves it. Click the pie to face tool as many times as you roll and take the chance that you’ll get hit in the face with the pie. Overall, this is a clever and fun game that you’ll want to play just every once in a while. One suggestion I do have though is to use spray whipped cream rather than a pie or anything else. If you’re looking for a more educational board game for this age group, I’d recommend games like Blokus, Qwirkle, or even Ticket to Ride. Boys at this age love to get outside and ride around. My 7-year-old has really enjoyed the Plasma Car we got him a couple years ago but is finally ready to graduate to something a bit more difficult. 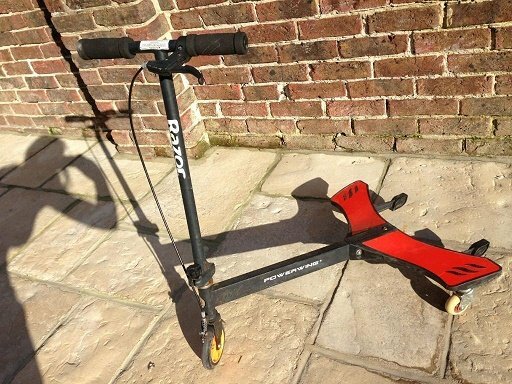 If you’re looking for something they can ride to and from school, then go with the A3 Kick Scooter from Razor. It works great for kids this age and is made with a very durable aluminum that supports up to 143 pounds. If he’s a bit on the tall side, you could also consider the A5 Lux Scooter at this age as it should last him until he’s outgrown scooters altogether. If you’d prefer to have something just for fun and tricks, I really like Razor’s PowerWing Caster Scooter. Having seen my kids, including my 3-year old, use this extensively, I’d say it’s good for ages up to 12. For another fun option, try the Ripstik Caster Board. It’s a bit harder to ride than the other’s I’ve mentioned but gives a lot more freedom for tricks as well. The manufacturer age is set at around 8 years old and up so if your son is more like 6 you might want to wait on this one. Overall, the best advice I can give you for shopping for the six to 8-year-old boy in your life is to listen to what he wants. We usually try to accommodate him as much as possible without getting him something we clearly don’t want. What are you getting for your kids this year? Be sure to let us know in the open discussion area below.